The Eighties was a colourful period in English cricket. As a member of the most successful team in Essex’s history, and an England side capable of extraordinary highs and lows, Derek Pringle was in the thick of it. He lays bare the realities of life as a professional cricketer in a decade when the game was dominated by a cast of unforgettable characters, whose exploits often became front-page news. 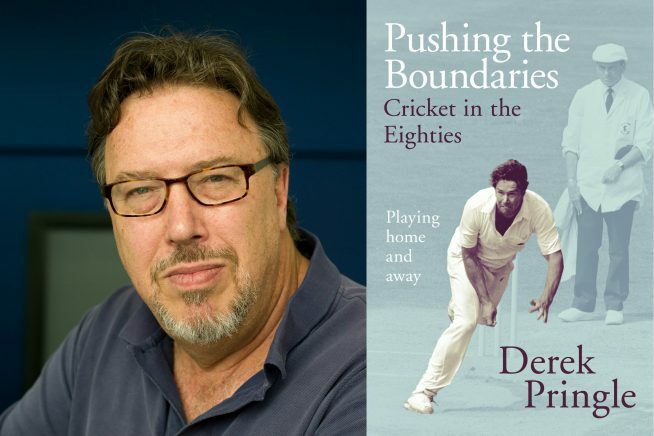 Derek Pringle is finally ready to tell his story of cricket in the 80s. First chosen by England whilst still at university in 1982, Derek featured in the national side for the next 11 years. He played 30 Tests, 44 One Day Internationals, and appeared in 2 World Cups. Inside the dressing room, and out on the pitch, Derek witnessed at first hand an era of English cricket populated by characters such as Botham, Gooch, Lamb, and Gower. An era so far removed from today’s rather anodyne sporting environment. And it wasn’t just at international level that the sport lived life to the full. He was an integral part of Essex’s all conquering side that won the County Championship 6 times as well as numerous one day trophies. Full of insight and experience here is the story of one of English cricket’s most tumultuous periods told by someone who was there.